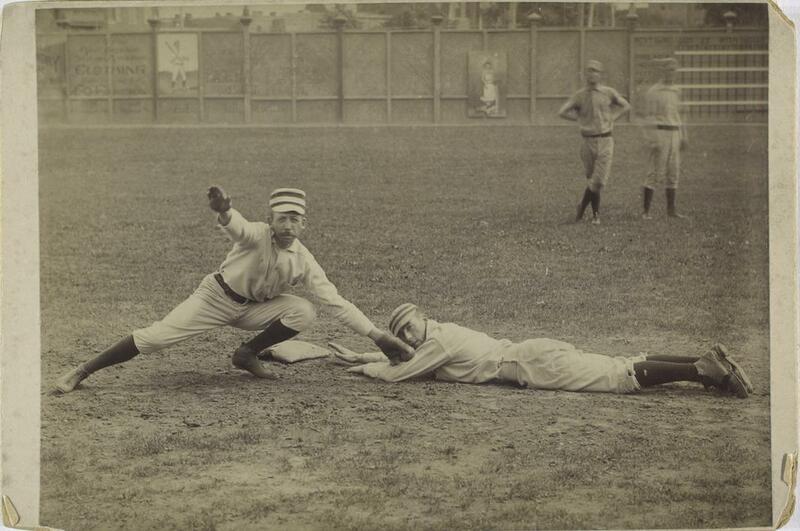 New York Public Library presents A.G. Spalding’s collection of early baseball photographs. 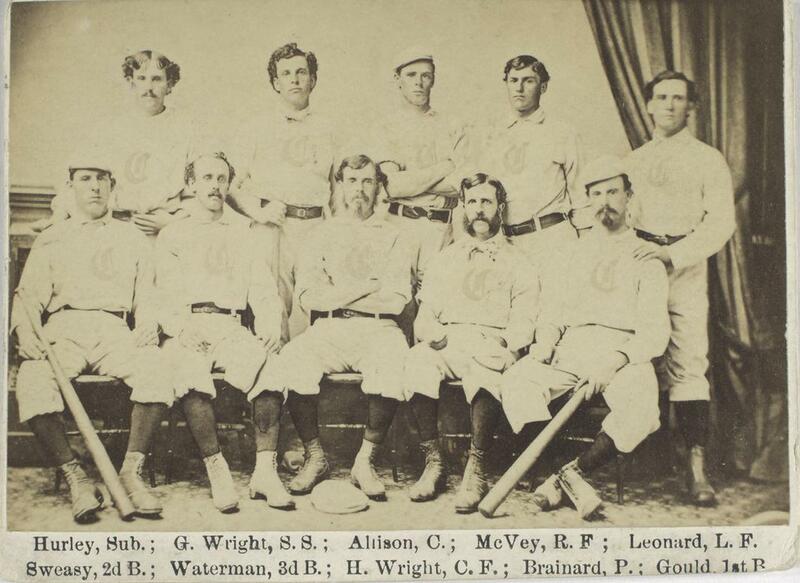 In the 19th century, baseball evolved from an amateur, club-based sport to a highly organized entertainment business considered a national pastime. The collection of studio portraits, photographs, and drawings maintained by A.G. Spalding and held at the New York Public Library charts this progression. 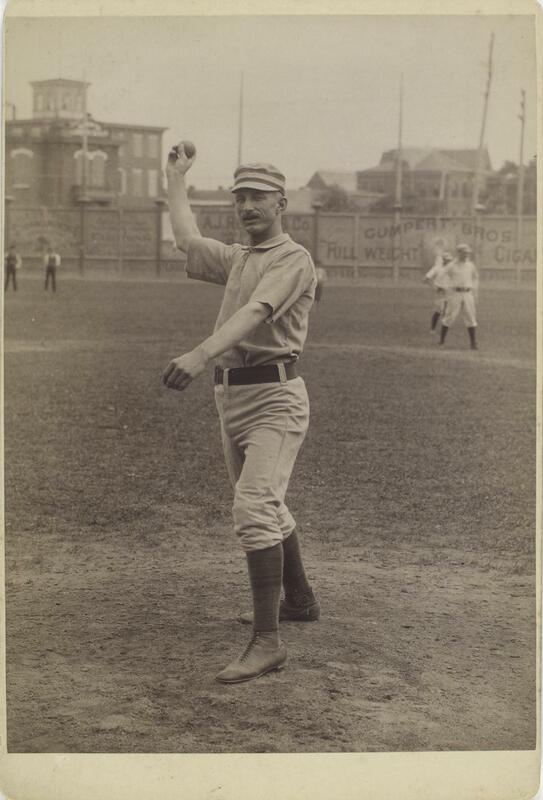 A former pitcher, team president, and entrepreneur, Spalding was a major force behind the professionalization and commercialization of baseball. 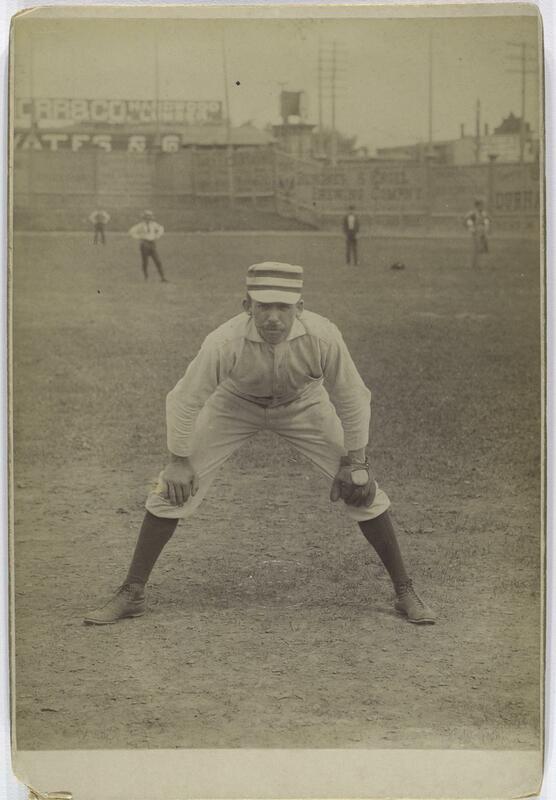 “We have this idea that the game has always been the same, that it’s written in stone, but the fact is it’s changed a whole lot,” said Warren Goldstein, author of Playing for Keeps: A History of Early Baseball. 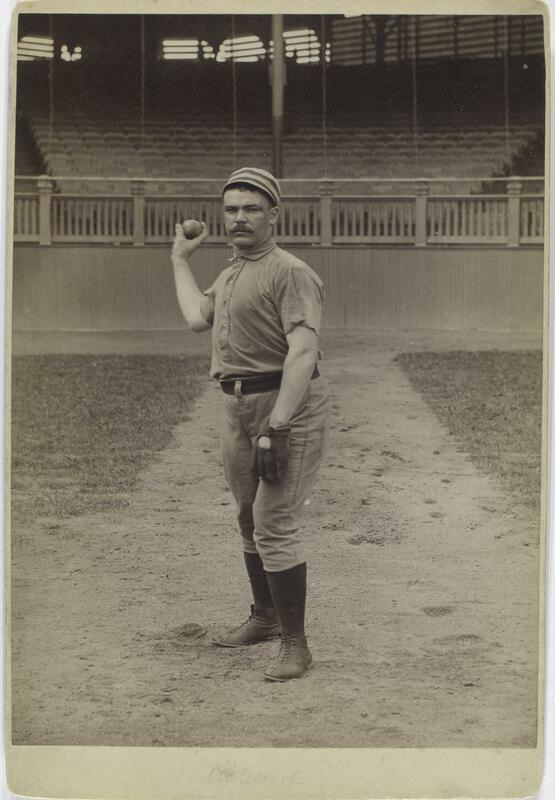 From the number of balls it took to walk a batter to the distance between the pitcher’s mound and home plate, baseball was a very different sport in its early days. There were fewer umpires, which meant that players often stole across the field from first base to third while no one was paying attention. Gambling was rampant. Safety measures were virtually nonexistent: Fielders didn’t wear gloves, batters didn’t wear helmets, and catchers didn’t wear masks. 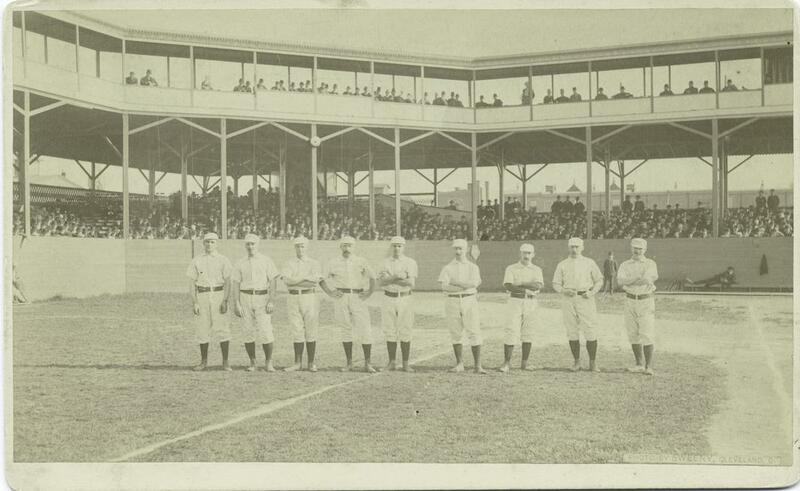 Spectators frequently fired pistols into the air to distract fielders trying to catch balls. Early uniforms were made of heavy flannel and modeled off of those worn by volunteer firemen of the 1850s and 1860s. 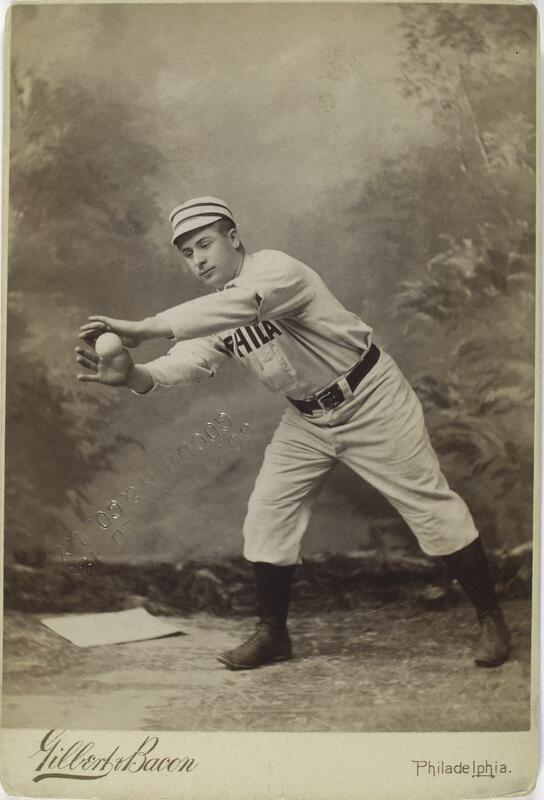 Before the wallet-sized baseball cards that eventually became popular, images of players were reproduced on cabinet cards and cartes de visite in the style of the day’s celebrity portraiture. 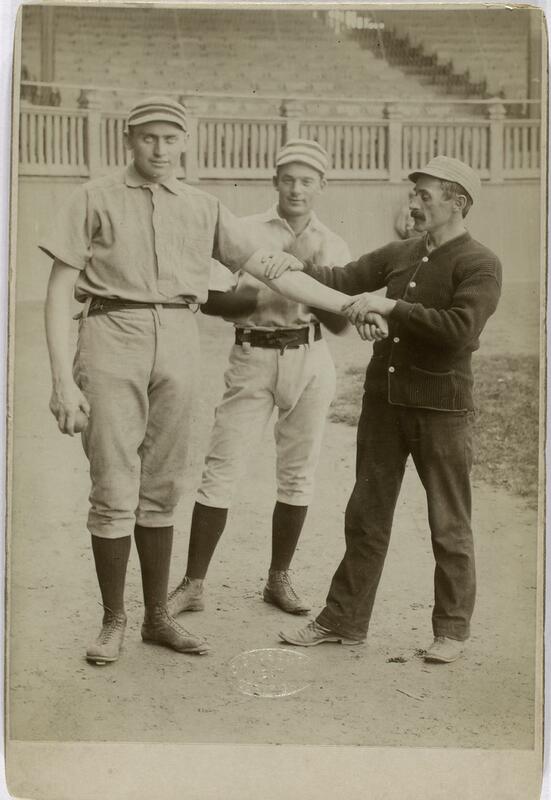 “You get some funny instances, these baseball players essentially before a backdrop of a Victorian garden, the sort of humorous fakery of a ball suspended on a string,” said David Lowe, a photography specialist at the New York Public Library. They also didn’t make much money. According to Goldstein, an average player on a professional team in 1869 earned about as much as a craftsman (though in half the time). Many players picked up other work in the off-season to make ends meet. 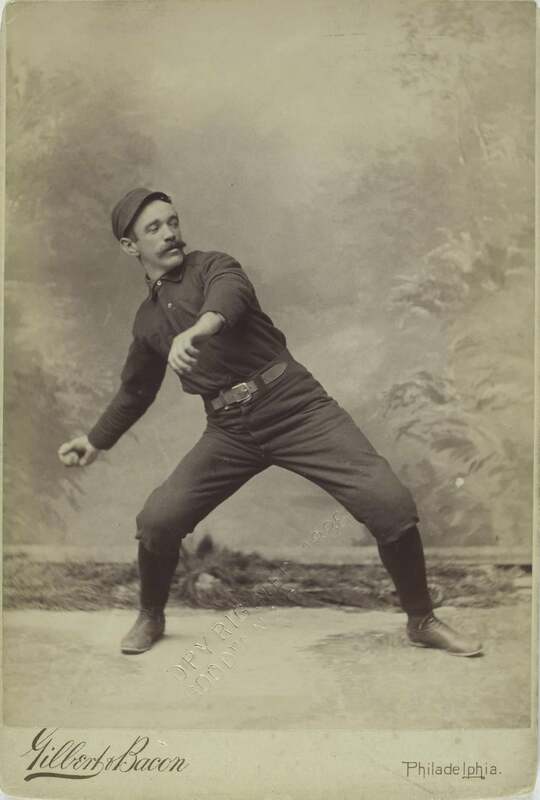 By the late 19th century, Goldstein said, baseball started to look like the game as we know it now. And although the game bears many similarities to its 19th-century ancestor, a lot has changed. 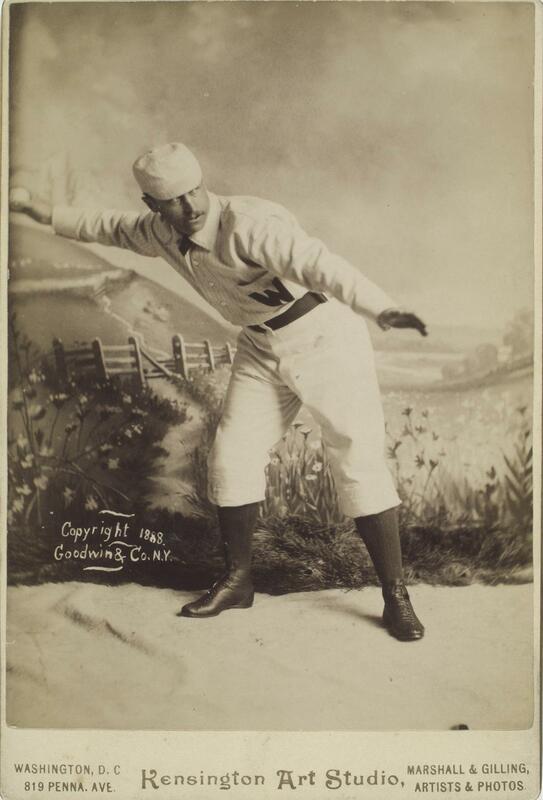 “While a fan from 1905 would certainly recognize the game, now if he saw an umpire warning a pitcher who’d thrown a high and inside pitch, he’d laugh his head off,” Goldstein said. Some of the photographs in Spalding’s collection are on display through March 16 in the exhibition “Play Things” at the Stephen A. Schwarzman Building at the New York Public Library. The image collection is also available online through the library’s website.